The world seems to have become a much smaller place. Nowadays it is not uncommon to have to fly across the country, or even to a different country on a business trip. It takes a toll and, as most regular business travelers will tell you, the novelty wears off pretty quickly. 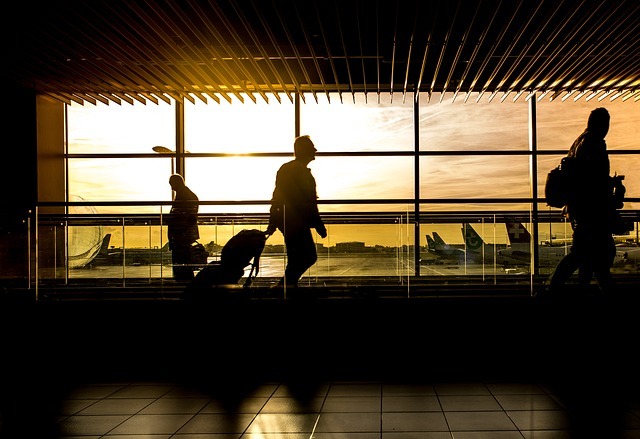 In this post, we will look at ways to make your business travel a lot easier. This is not always easy if you have a rushed schedule, but it can be advantageous. The earlier you check in, the more accommodating the airline is bound to be when it comes to luggage. While you should adhere to luggage weight limits, earlier check-ins make it easier to squeeze in a little extra weight here and there. When flying across the country, you will probably not have the same weight allowance that you do for your international flights. That is something to keep in mind when deciding exactly what to pack and what to leave at home. This applies to men and women. Depending on how long you are staying for, pack just one skirt and/ or a pair of pants and change up the tops. Aside from that, be sure to pack enough underwear and socks for your trip. Try to wear the heaviest items of clothing when boarding the plane so that they don’t need to get packed. For the rest, check out YouTube for excellent ways to fold clothing and minimize creasing. For example, rolling a T-shirt means that it takes up less space and is less wrinkled. The last thing that you want to do is to get there and find out that you have to fork out a lot of money to use the hotel internet. See whether or not an international data plan might work out less expensive for you. It is a good idea to scan your travel documents such as your passport in case something happens like your bags being stolen. Upload the scan to Google Drive or something similar so you can access it from anywhere. Don’t forget travel insurance if you are headed out of your home country. Also get the emergency contact numbers for your bank and your country’s consulate in the country that you are travelling to. Make sure that the bank’s numbers are in an international format so that you can easily call them when outside of the country. That way, if you need to report your bank cards stolen, you can do so quickly and easily. Keeping the consulate’s number on hand will help if you need to replace your travel documents or find yourself in a sticky legal situation. This is not the time to pull out the most precious rings and other jewelry that you own. Hotel safes are not the ideal place to keep expensive items, so you are better off leaving these at home where they are safe. The key to smoother travel is in being prepared. Prepare a checklist of everything that you need and tick it off before you leave. That way you are less likely to leave critical items behind. If you are visiting a country that you have not been to before, take a bit of time and do some research upfront. That way, you will be better prepared for local quirks and potential risks that you may encounter.